It’s not unheard of for Internet of Things devices to cause security concerns--particularly in the wake of devastating Distributed Denial of Service (DDoS) attacks orchestrated through the use of countless hacked devices. We can use the relatively recent DDoS attack on Dyn, a well-known domain name provider, as a prime example of this. The devices used to initiate this attack were infected with a malware variant called “Mirai,” and it created a massive botnet that was used to bring down the websites of some of the biggest technology companies out there--specifically, those who relied on Dyn’s services in order to be active. The basic idea behind the fear (and now reality) mobile device botnet is that millions of devices will create an infected network that can bring about a massive attack. This attack can target something with a ridiculous amount of traffic that can bring down naught but the mightiest networks. The Mirai botnet itself targeted devices by using their default passwords. Many users don’t change the default passwords, making this a viable tactic. When you think about it, this development isn’t nearly as far-fetched as it might seem. 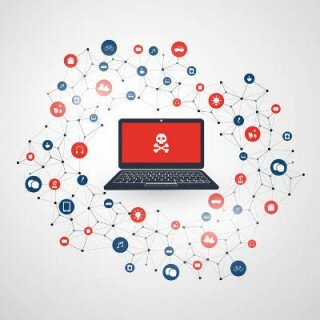 When so many devices are being used in a connected fashion, it’s only natural that some either won’t be properly secured, or will be infected with malware that can do the bidding of external threats. There is a direct correlation between the increase in connected devices and the number of potential threats out there. The most unnerving part of the Internet of Things and security shortcomings is the fact that so many devices are connected--many of which were never connected before, including automobiles, home appliances, and so much more. How can you protect your business with such a crushing force waiting to be launched at any moment? It all starts by implementing basic security best practices. If you have any mobile or connected devices in your office, it’s best that you change the password (definitely don’t leave it at the default password). Furthermore, any devices on your network should be comprehensively protected by a mobile device management solution that’s designed to protect any devices that have access to company data. To learn more, reach out to us at 800.394.2301. Almost all small businesses use technology, but they don’t necessarily have an in-house department dedicated to overseeing how it is used or maintained. If you don’t have enough operational capital to employ dedicated staff whose job is to effectively manage your business’ IT solutions, chances are that this responsibility falls to your other employees. Even if they are the ones doing the maintenance, it’s likely that they can’t provide the specialized services required for each and every piece of hardware and software that your organization uses on a daily basis; not to mention the background in the organization and management of business technology. In any case, you’re risking your organization’s future with every software patch not being implemented on time, or security update not being applied as needed. What about in a worst-case scenario? In a situation like this, where your business’s data could be compromised by external factors, would you have an answer for the inevitable tough questions? Natural disasters and hacking attacks are two cases where you could experience crippling data loss or corruption. If a scenario like this were to play out, you want to make sure that your organization has a way to back up and restore data. This way, you can maintain a reliable and recoverable copy of your organization’s data off-site just in case. After all, future events like this are, quite frankly, impossible to predict. If you’re not using an automatic system, you never know how much data you could lose in the event of such an attack. Ultimately, the most important part of preventive IT maintenance and management is that it saves your business a considerable amount of capital. By making sure that all of your services are operating at full capacity, you create more opportunities for your employees to be productive. Furthermore, by making sure that all of your patches and updates are applied properly, you gain the peace of mind that entities that threaten your organization’s profitability are being repelled. Outsourcing all of these responsibilities to a managed service provider like Infradapt lifts the weight of these important responsibilities from your organization’s shoulders, and it keeps you from expense associate with maintenance and repair of critical IT components. To get started with managed services from Infradapt, reach out to us at 800.394.2301. A public cloud is the most accessible form of cloud storage (and cloud computing) for most individuals and small businesses. It comes equipped tied to productivity, management, and other utility applications and is relatively affordable compared to all other types of computing/storage, coming in at just cents per gigabyte. Whatever gains you get from the public cloud, it typically loses in terms of flexibility and customization, as many providers charge a flat rate per user or have static service levels that must be adhered to. Private clouds differ in that the management of the cloud platform is delegated to your business (or to an outsourced provider like Infradapt), which means that if you’re not taking care of it, nobody is. On the other hand, since your business is the one in control, you have freedoms that you wouldn’t have otherwise, including complete and total control over your cloud infrastructure. A hybrid cloud storage system is one that takes the customization and flexibility of the private cloud and combines it with the accessibility and ease of use of the public cloud. 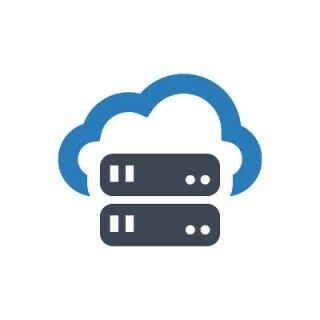 Since some aspects of your business’ computing need more diligent care than others, hybrid cloud storage melds the cost-effective computing of the public cloud with the more hands-on private cloud to create a computing infrastructure that works the way your businesses needs it to work, while allowing for a pretty significant cost reduction in the places where it’s possible. The main benefit of cloud computing is always going to be accessibility. You can get access to the files you need from anywhere in real time. Public cloud solutions allow your organization to forgo burning your available capital on the often-enormous upfront hardware costs, while adding the benefit of scalability. You can purchase the storage space you need and scale down and back as needed, but, as mentioned above, with public cloud solutions this benefit may be broken in to static tiers of available space. The best way to take advantage of this is by working with a managed service provider like Infradapt who can host and manage the cloud on their own infrastructure. To learn more, call us today at 800.394.2301. It can be difficult to see how data backup and disaster recovery are two different things, but the fact remains that they fulfill a very important role for business continuity. Data backup is the process of actually taking the data backup that you will then later restore to a workable state. Disaster recovery is when you restore a working data backup so that it can be used to get your organization into a state where it can operate following a data loss incident. Recovery point objective: The recovery point objective, or RPO, is how much data needs to be restored in the event of a disaster. Basically, the more data that you need to restore to get your operation going again, the larger your RPO is going to be. 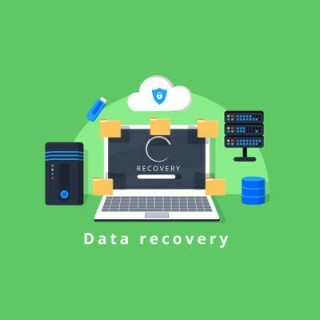 Recovery time objective: The recovery time objective is the amount of time your organization has to restore data before your business is in trouble. 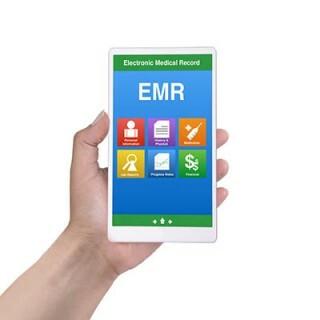 Every moment wasted waiting for your data to be restored is costly, but there reaches a point where if you don’t have your data, you can’t sustain operations, and the business begins to fail. Not all data backup and disaster recovery systems are the same. In some cases, they are just inferior to others. Take tape backup as an example. While it may have been the standard solution for quite some time, it’s an inconvenient manner of taking data backups and restoring them. Not only is it time-consuming, but it’s also not automatic and prone to user error. You could potentially lose up to an entire day’s worth of data in the event of a disaster scenario. Network-attached data backup and disaster recovery with cloud functionality is better, as it allows for fast data recovery and for multiple backups to be taken every single hour. In fact, you can take backups as often as every fifteen minutes, making it much better than the singular large data backup that can only be taken once. This helps to minimize downtime and data loss in the event of a disaster. Does your business need a better way to approach data backup? Infradapt can help. To learn more, reach out to us at 800.394.2301. You know how it seems like every other day there is a major data breach, network takedown, or infiltration broadcast on the evening news? Companies of high repute, including Disney, Yahoo, Sony, Anthem, Target, Equifax, and a laundry list of others have had major data breaches that have exposed hundreds-of-thousands-to-billions of users’ information. As a result, you’ve seen companies start up with one goal in mind: to mitigate detrimental circumstances that surround the growing use of IT. Like many of other IT service providers, the first companies to utilize these services were larger enterprises with tens of thousands of employees. Given that they tend to have the most complex environments and the financial resources to afford the often-pricey services MSSPs provide, it isn’t a big surprise that a lot of the best practices used in network security were developed by IT technicians solving enterprise-level problems for enterprise-level businesses. After strategically moving into the mid-market over the past few years, MSSPs have increased enough in number to start selling their brand of managed security to small and medium-sized businesses. It’s not really news that SMBs have suffered a disproportionate percentage of hackers’ ire recently. The Verizon Data Breach Investigation report in 2016 found that two-out-of-every-three of the 855 reported data breach incidents happened to businesses that employed between 11-and-100 employees. Demand, it seems, has allowed SMBs access to better outsourced security services. What Does an MSSP Do? The MSSP, especially ones that conduct business in the SMB market, traditionally are just managed service providers that extend a routine agreement to one that is a little more device-sensitive. Typically MSSPs are tasked with two basic things. First, they are responsible for the monitoring and management of an organization’s network to ensure that security threats are mitigated. Secondly, they manage device deployment. Users are less apt to be on point about security initiatives so by having people there managing the devices that connect to your organization’s network, you position someone between endpoints and hacker paydirt: the data on your central servers. There are two schools of thought to this. 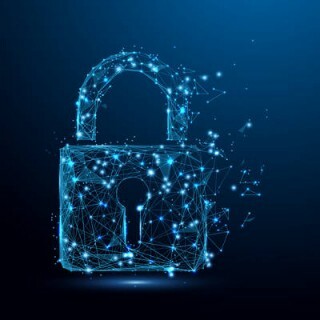 The first is that if your business is inundated with security problems, there is a good chance that you will deal with data loss, downtime, and other situations that could make it increasingly difficult to create positive revenue positions. If that is your current position, paying the extra money for an outsourced security provider will pay for itself. After all, with the myriad of entities out there actively looking to get into your network; or, more specifically looking to get ahold of the personally identifiable, financial, or medical information that you depend on, maintaining a high level of network security is paramount to any success your organization is going to have. 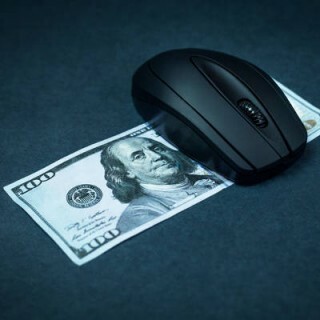 The second position is that the average coverage of a small business will cost a few thousand dollars per month, and if you already have IT personnel on staff, or you pay a managed service provider like Infradapt for network monitoring and patch management, it could put your organization behind before it even has a chance to create any revenue. If you have sustained a secure network and infrastructure with the security resources you have in place, adding the extra layer of security monitoring, while it couldn’t hurt your security position, may hurt your financial position. Really, it comes down to your needs. For the organization that deals in information that hackers would target, an outsourced MSSP contract may be just the thing you need to ensure airtight security. However, if your company functions fine without the extra security, whether it’s because the information you have is safe enough, or because the data you possess isn’t necessarily what hackers are looking for, you can probably forgo the expense as long as you are diligent about how you manage, share, and store data. 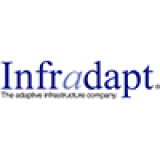 At Infradapt, we have found success creating and managing storage and computing infrastructures that are reliable and keep data secure. If you would like more information about managed security services, or if you just want to talk to us about the state of your network and endpoint security, call us today at 800.394.2301. First of all, we want to emphasize that not all streaming is bad for productivity. There are certain media types that will be necessary for certain employees to unlock their full potential. For example, let’s say that you have an employee who works better in areas with minimal distraction. If your other employees are being too noisy collaborating (or not), this employee can put on a pair of headphones and listen to music streamed from an online app to drown out the sound. You also might need to look at a video during your normal workday for work purposes. Perhaps it is an important news article about a new workplace trend, or perhaps it’s a training video that is needed in order to fully master a new software solution. Regardless, there will generally be some reason to stream something or another, but this doesn’t mean that it’s always acceptable. 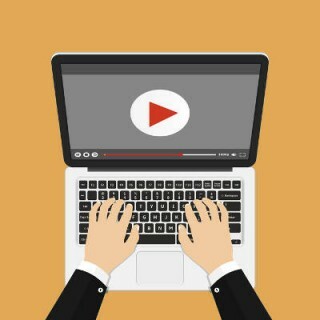 If you have an employee who is streaming video at all times, you’re dealing with an employee who simply isn’t working to the best of their ability. They are doing your business and themselves a disservice. Not only is streaming distracting, but it can also use up a lot of your bandwidth, leading to a lot of slowdown on other network-connected devices. For the problem employees who just can’t keep their eyes off of YouTube, Netflix, or Hulu, you can implement a content filter. What this does is keeps them focused on the workday by eliminating access to specific sites. This can be anything ranging from social media sites and streaming sites to dangerous malware-infected sites that are dangerous to browse. If your organization wants to implement a content filter, Infradapt can help. To learn more, reach out to us at 800.394.2301.